The concerted efforts of corporate food lobbyists successfully and seriously weakened the GMO Labeling bill, H.R. 1599. The law was once a bill known in Congress as “The Safe and Accurate Food Labeling Act”, but you may have heard it referred to as the DARK Act from the media. This bill intended to make clear, explicit labeling on GMO foods mandatory across the nation. The original bill was shot down in the Senate and heavily edited to appeal to major food producers. It was a heavy price to pay to get the bill passed – the new law is a far cry from what consumers have been demanding since the USDA first allowed GMOs into the food supply in the 1990s. Rather than simply requiring food packaging to say “contains GMOs," one compromise within the new version of the bill allows food companies to skirt around the requirement to inform consumers by using QR codes, already a dated technology, to label their products. This means that instead of being able to read these labels on the package, consumers will have to scan them using a smartphone (if they have one, and a reliable signal), which will take them to a website that contains the information. Food companies were satisfied with this bill because it allows them to obscure a product's GMO status. The bill also offers food manufacturers the option to use text or a symbol to label GMOs, but since about 75% of processed supermarket foods contain GMOs[1, 2], we may start seeing a lot more QR codes at the grocery store. 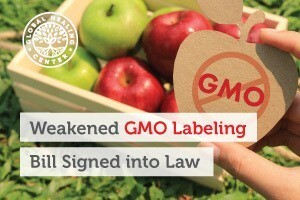 Since the bill was signed into law, all state-level GMO labeling laws are now null and void. 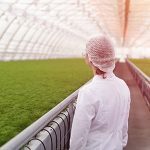 Unsurprisingly, this new bill rocketed through Congress in three short weeks, immediately following the July 1 activation of the 2014 Vermont GMO Labeling law. Informed consumers are able to make better decisions about what they put in their bodies. If we don’t know what’s in our food, how can we make informed choices? 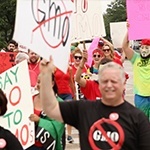 Consumer advocates have called for GMO transparency for decades. Food manufacturers have opposed it because they believe clear GMO labeling will cause shoppers will leave products on the shelf. Companies are unwilling to forgo GMOs because they are extremely profitable. 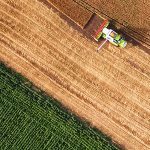 Genetically engineered crops financially benefit food manufacturers because they resist diseases, poison pests, ship long distances with less damage, tolerate rough handling by harvesting machinery, stay fresher longer, survive harsher climate conditions, generate more produce per acre, and need less water to grow, among other advantages. These profound benefits to the food manufacturers come at a cost — most apparent in the taste and quality of produce, but they also jeopardize environmental biodiversity and the safety of our supply. If you’ve ever eaten a homegrown tomato, you know how incredible they smell and taste. The average supermarket tomato has very little flavor. No longer available, the first genetically modified tomato, the FLAVR SAVR, hit supermarket shelves in the mid-1990s. 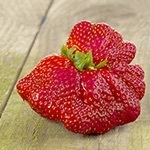 Ironically, the FLAVR SAVR had very little flavor, the cost attributed to new genes that made it ripen uniformly and tolerate long shipping distances. Introducing new genes into completely different organisms can also have unexpected consequences. In 2000, Grace Booth of California went into anaphylactic shock from eating a taco; the corn in the shell wasn’t even supposed to be genetically modified. The non-GMO corn in her taco had cross-pollinated with GMO corn by accident and the foreign DNA coded for proteins that caused her allergic reaction. GMOs also threaten small farmers whose crops have been contaminated with patented genes. Monsanto has been using the courts to sue small farmers whose crops become polluted with their genetically engineered genes for patent infringement since 1997. 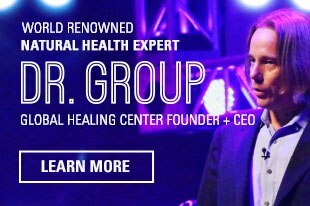 There have been almost 150 cases since the mid-1990s, and this is information Monsanto offers on its website. Consumer advocates are disappointed by this long endeavor. QR codes leave too much room for confusion, whether intended or not remains to be seen. Consumers deserve real information that isn’t complicated to access and readily available to everyone. Despite this GMO labeling setback, I urge you to continue making informed, responsible decisions about your health and nutrition. 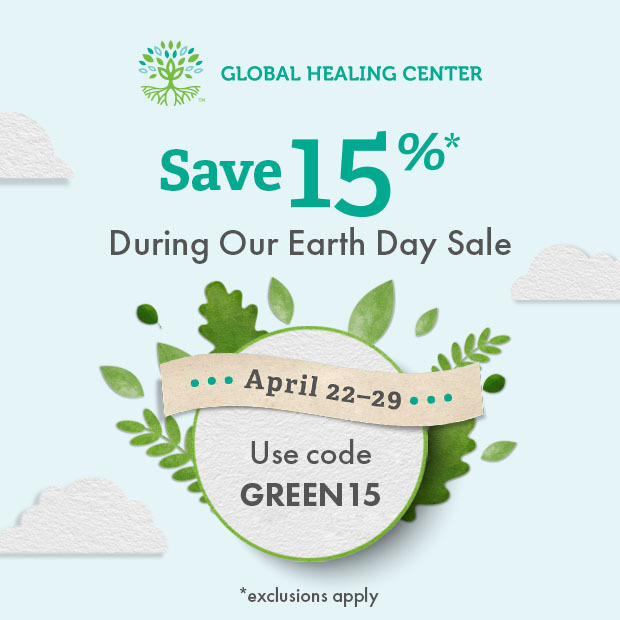 Continue to buy organic and non-GMO foods and let your purchasing habits speak for your support of organic, responsible, and ethical food producers. Wechsler, Seth J, and Jorge Fernandez-Cornejo. USDA ERS - adoption of genetically engineered crops in the U.S.: Recent trends in GE adoption. 14 July 2016. Web. 3 Aug. 2016. “About Genetically Engineered Foods.” Center for Food Safety. Center for Food Safety, 2016. Web. 3 Aug. 2016. Pompeo applauds historic food labeling bill being signed into law. Press Releases. Mike Pompeo - Internal, 1 Aug. 2016. Web. 3 Aug. 2016. Bruening, G, and J Lyons. “The case of the FLAVR SAVR tomato.” University of California. University of California, Agriculture and Natural Resources, 1 July 2000. Web. 3 Aug. 2016. Wallis, Ed, and Eowalus. Fish Genes into Tomatoes: How the World Regulates Genetically Modified Foods. N.p. : National Agricultural Law Center, 2009. Web. 3 Aug. 2016.